Through an intentional experience of old-fashioned fun and Christian nurturing, our campers grow in character, skills, relationships and faith. Emerald Cove Day Camp staff strives to help each child develop a stronger understanding of self, as well as a greater concern for others. Through purposeful and playful teaching in both small and large group activities, campers are guided in ways that develop personal responsibility, respect, fairness, honesty and resiliency. Abundant encouragement and positive affirmation reinforce these essential traits. At Emerald Cove Day Camp, techno toys are left at home and imaginative play abounds. Camp offers an environment in which children are encouraged to explore new activities, and can join to celebrate each other’s accomplishments. Through a variety of daily adventures, age appropriate challenges and positive coaching and feedback, campers develop new interests, master activities and gain confidence along with important social skills such as cooperation and problem solving. Studies show that one of the greatest gifts of a quality camp experience is developing supportive relationships. Meaningful and consistent connections with caring staff offer children wholesome role models and positive affirmation. In turn, staff members guide campers to expand their “friend-making” and “friend-keeping” skills with peers. It is our passion to help campers understand that they are valued by God simply for who they are. 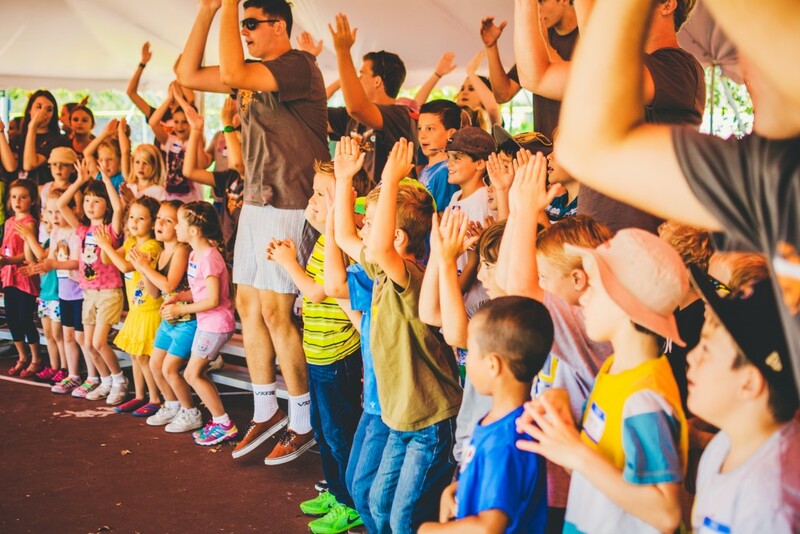 Through Bible stories, songs, practical application and especially teachable moments, campers learn more about God’s love.